This shore excursion starts from Sorrento port and is ideal for those who want to spend a whole day to visit the coast of Amalfi and return to the port of departure in the late afternoon. 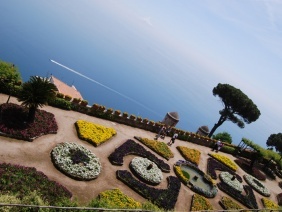 We'll drive from Sorrento to Amalfi Coasts where we can have a couple stops to enjoy the beauty and get pictures. Then we will arrive in the heart of the town, at Piazza "dei Mulini” passing by many picturesque houses and shops. This is the last point accessible by car, so we will park our car and walk downtown where all the streets lead to the waterfront. 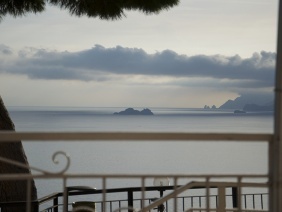 In Positano we suggest to see: the cathedral, ceramic shops, lemons, hand-made shoes and, of course, “Positano fashion”. In front of the port of Amalfi, there is the one and only bus station along the coast and the shopping area lies just behind this. 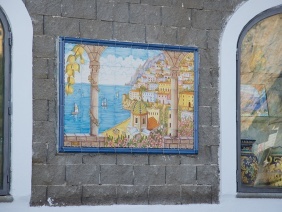 If you would like to steep yourself in Amalfi's history there are some interesting sights to explore. Two of the most spectacular are the cathedral situated along the coast and the paper mill museum. 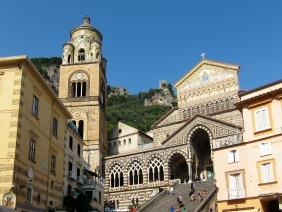 Behind this square lies the main shopping street of Amalfi, that terminates at the furthest and highest point of the town. 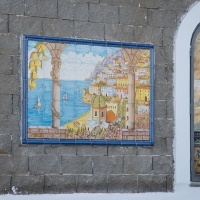 Along the pedestrian street are various bars and cafés, not to mention the many shops selling limoncello, casual clothing, swimwear, gifts, basic groceries, and of course, ceramics. 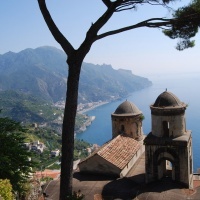 We will then take a meandering, relaxing drive uphill along a very narrow road passing several wineries and olive factories which will lead us to Ravello. 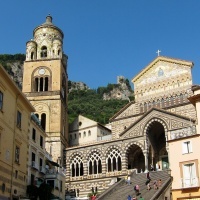 This rural village is completely unspoilt by tourism, perched on top of the mountain cliff situated above Amalfi and Minori. 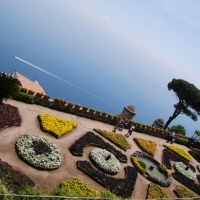 Ravello is famous for its breath-taking views, natural beauty and ancient monuments which are seen at their very best in the stunning gardens of Villa Cimbrone and Villa Rufolo. In high season, these gardens are rich in the heady perfume of blooming flowers, flora and the sharp, sweet scent of lemons. 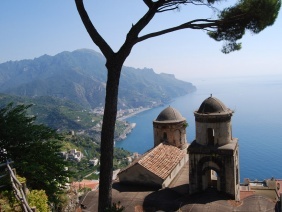 Ravello is also denominated THE CITY OF THE MUSIC, as it was here that Richard Wagner composed his opera Parsifal. There are many classical concerts held in the gardens of Villa Rufolo. If you would like to attend one of them, you are able to find them every night from June until September. After this, our last site of the day, we will drive back to the ship where you can reminisce about your incredible day along one of the most famous coastlines in the world! If we start our tour at 8:00/8:30 am we'll be back at the port by 5:00/5:30 pm.